How are you all? 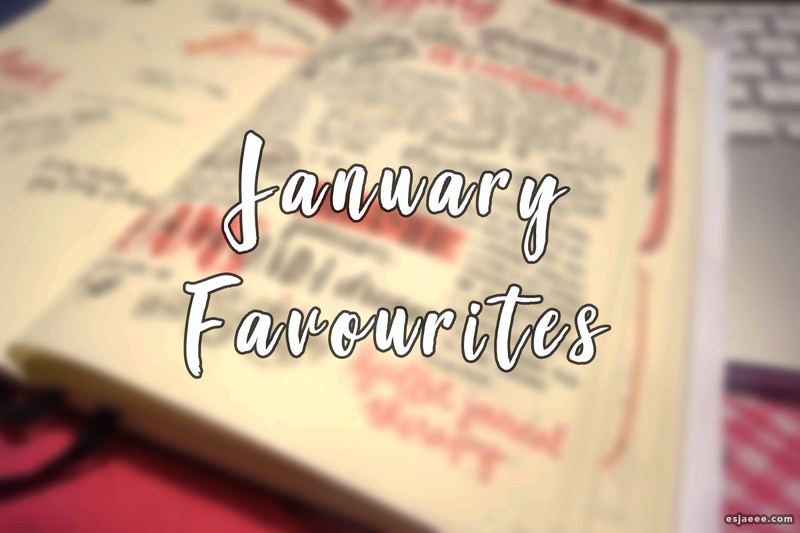 I'm here today to share my favourites and highlights of my January 2018. January was such a happy month and I am still as happy and excited and I really pray that you feel just as happy and excited as I am. 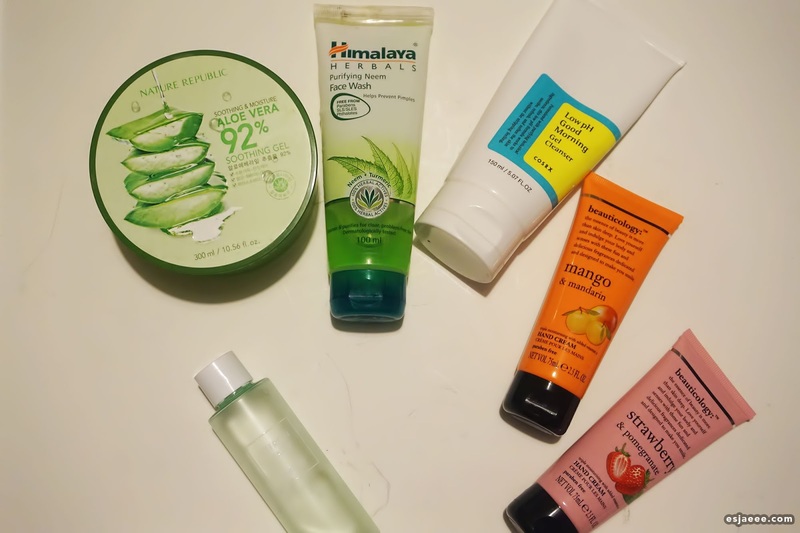 Let's start with the beauty products that I have been loving in January. The first two products that I have been loving for January is the Coxrx Low pH Good Morning Gel Cleanser (actually I have loved this since I got this from August Ichiko Bento box but this worked better during the harsh winter season) and the Himalaya Herbals Purifying Neem Face Wash (not sure where you can buy this since my mom asks favour to friends going to the Philippines to get her this). These cleanser is SO good and gentle on the skin. I have sensitive skin and they didn't irritate it plus it leaves your skin moisturised! Next product is Nature Republic's Soothing & Moisture Aloe Vera Gel which I also got from the August Ichiko Bento Box. I usually use this at night and whenever I wake up, my skin feels so soft and super hydrated! I am notorious for using so much hand cream by my colleagues and find it very weird how I can finish an entire tube within two weeks! And yes, I've gone through two Beauticology handcreams in the past month (and more when I discovered this in mid 2016 I think). They smell divine and SO CHEAP! I only know one place in Dublin that sells it and it's only €2.50! My favourite scent is the mango and mandarin hand cream! Smells amazing and leaves the hands soft. Last and the MVP of all the beauty products of January is Heimish Refresh Water Toner. I received the 85ml bottle from the December Ichiko Bento box. This toner is BOMBDOTCOM! You know how some toners leave you a very squeaky clean feel? This maybe a plus for others, but my skin feels uncomfortable during the winter season when I use products that leave my skin dry. This toner leaves my skin very moisturised and supple! I highly recommend it! Up next are the songs that I was so obsessed for the month. I have huge admiration and mad respect for pH-1. He is not a CCM artist but somehow manages to bring glory to God (listen to his track Christ in my playlist and you'll know why). Also, artists like Jay Park, Dream Perfect Regime and of course Christian Yu were my January muses inspiration and they still are my inspiration and the people I aspire to be. They taught me (even without them knowing) that there is always room for improvement, to better ourselves, to leave a positive impact on someone's life and to do things out of love and passion. Because of these people, I was reminded that there is a God who has laid out a better path for us to walk in despite us wanting to take the other route. I was reminded that every thing happens for a reason and we may not know it yet. 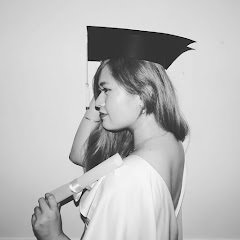 Also, because of them, I realised new dreams that I want to achieve and that I want to keep educating myself. I have always held back on doing things that I was really interested in because the were the things that cannot pay the bills and my mom once told me that only the rich can do them for living since they're rich to begin with but now that I'm done with college and am able to slightly support myself with my hobbies, there is no stopping me. I have that fire in me to learn and I'm looking forward to what the year has in store for me. January made me incredibly happy. Things just happen to be SO SO SO good so far this year. There were down moments when I felt people take advantage of my non confrontational nature and extremely stressful moments especially at work but somehow the month pulled through. January taught me to be grateful for the positive, little things in life. I chose to actively seek and pursue my happiness whether it's me trying to be creative to learning new set of skills and developing them. I'm so thankful to the Lord for January. I did not deserve such blessings but He still deemed me worthy for these. He blessed me with such moments that I cannot help explain and leaves me speechless. 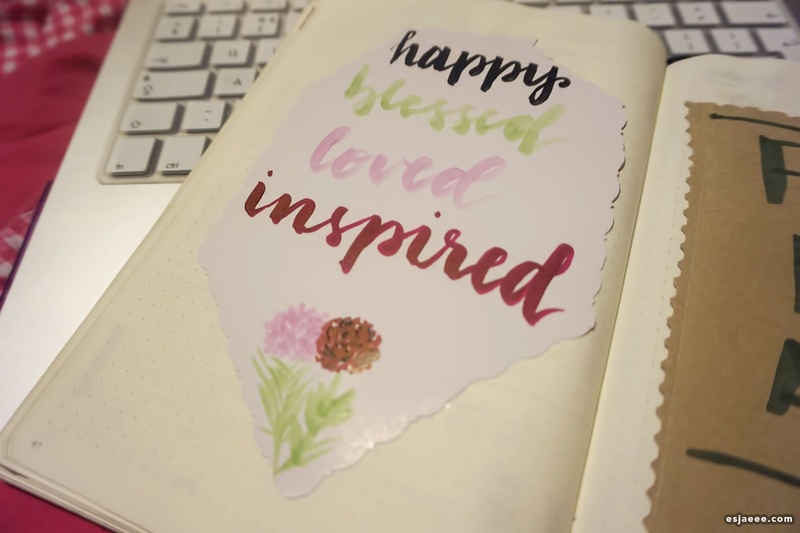 As an avid bullet journalist, every month, I always have a page dedicated for 'Gratitude' and man... It's unbelievable! I have managed to fill the page with things I was so thankful for. It looks like a mess but to me it is beautiful and filled with memories that I want to remind myself when I forget in the future. I wish I could share it with you but there were entries that were quite personal that I'd like to keep to myself. But couple of the things I scribbled down were my morning coffee and bullet journal therapy. I'm also thankful for the people I got to talk to (whether in person or through social media) for being kind and nice to me and for inspiring me to become better. So this is my dedication to my January of 2018. It seems like a lengthy one and I hope you enjoyed reading this. I pray that February will be good to you and that you may feel loved. I will see you guys in the next post!